This website is no longer a Bitcoin website it seems? Yeah, it's a BCash website. Although it has got 5 confirmations, it has not arrived to my account yet. The screenshots are attached and the necessary information is as below. Please provide me a feedback about it. I want to log in to my account and see my btc account on my account that has not been credited before. I told you earlier. I send e-mail records. I trust you and I am waiting for your answer now. Wow Stephen, you're a smart dude Thank you for your excellent thoughts, I'll keep hold of these. Stephen is indeed extraordinary in his thinking, a thought that no one else can think of. I applaud and I will try to follow your advice or opinion and keep giving good and successful input and income ..
Nice initiative from satoshidice to go bitcoin cash route... Bitcoin cash should have not been supported by anybody from the first place but well now its different story. Update on SatoshiDICE: Since re-launching last September, SatoshiDICE has been used to make more than 161,000 on-chain bets with Bitcoin Cash. 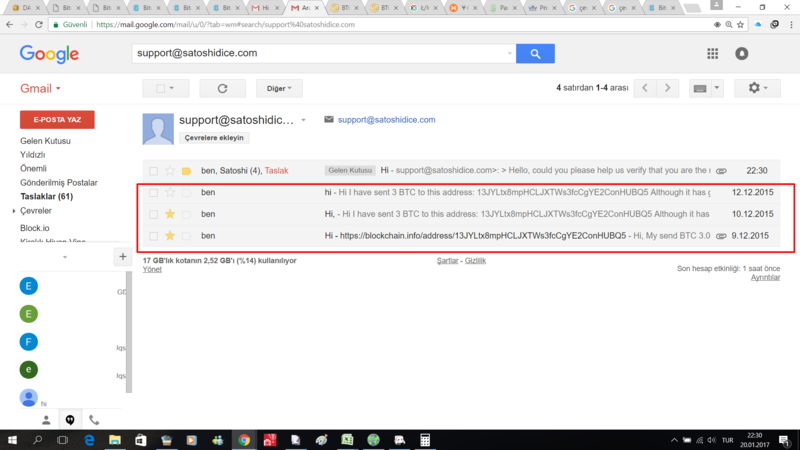 What is the reason to send $45,000 to SatoshiDice scam, 500+ Bitcoins defrauded and disappeared!? If you sent 2015, then you can sue the operator! 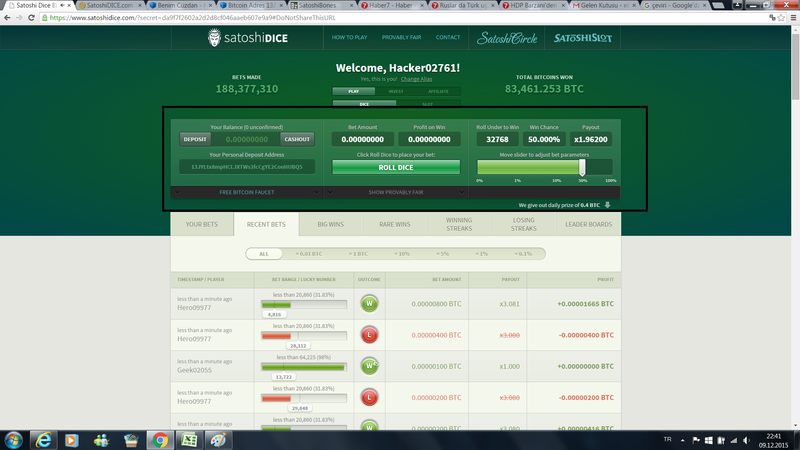 SatoshiDice is a provably fair on-chain Bitcoin Cash game.Satoshi Dice can be sent without access to the website nor running any client software. To play, a Bitcoin transaction is made to one of the static addresses operated by the service, each having differing payouts. There was nice initiative but don't trust easily to those sites that is not familiar. You should first observe and search the background mostly those sites that are newly opened. If you know someone from that site then there is a high percentage it is legal. What is going on here? You've sent those 3 BTC in 2015. This is the transaction correct? It says this was 2015-12-09? Why did you wait over 2 years to complain? Sure your fee of 16 Sats was low but it would of confirmed within 2 years either way. Also looking at the blockchain, you have used this address before. You've sent 1 BTC about 30 minutes prior. 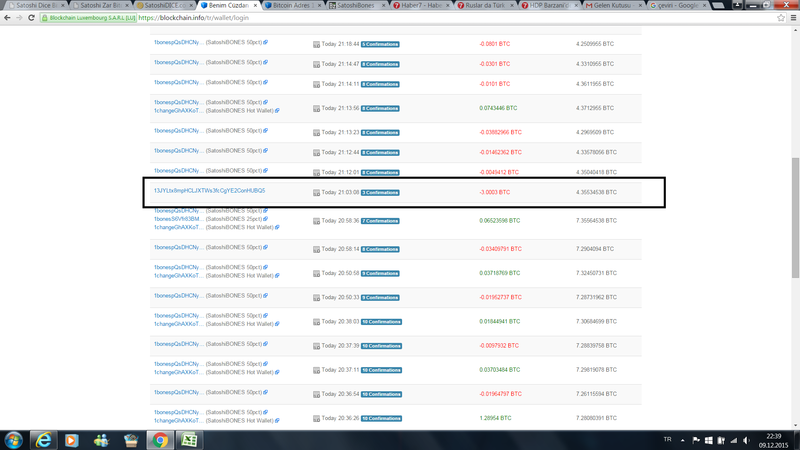 If you never got the 1 BTC, why send another 3 BTC to the same address? Sorry, The ownership of the site has changed since 2015, so we can't really help you with any issues from that time. The good news is that the site is now back on chain, and 100% provably fair. Can you explain exactly how your provably fair system works exactly ? There are a few of us who tried to figure it out but got nowhere. How is the seed hashed, is there some client seed, is there a type of nonce? Also did you completely transition to Bitcoin cash or can you still use Bitcoin on your site. It seems like it was suddenly removed. Why no one is answering this question? I'd also like to know about the system of your provably fairness in details. If you have been following this thread, then this wouldn't surprise you. The owner of the site has probably different business ventures and almost never replies to this thread. I mentioned this before that they should hire some support staff and nothing. They get lots of organic traffic by the brand so they aren't worried about growth really. This defiantly needs to be answered. Provably fair is not provably fair if the site does not provide all the information on it and allow users to verify bets. Its probably harder for them to implement the same provably fair that we use on Primedice and stake which was used for years by justdice and us but this is for now by far the best provably fair system in use. I tried your game and placed few bets..
How can I verify my bets? I can't find info and details about it..
And im not sure by what measure this is the most popular bitcoin game? With 200k bets ... ? I dont think so. Well most likely back in 2012, it was the most popular Bitcoin game out there. I guess they decided to leave it as is years later. Even with no advertising I am sure they get tons of business. Anyone watching that Netflix documentary where it was mentioned will probably search for it on google and they get a lot of organic traffic that way. I think they do not have much players these days.. they're don't even accept/deal in bitcoin, they switched from bitcoin to bitcoin cash few months ago i think.